There is a casual relaxed intimacy seen in more mature couples, that is not present in the young. 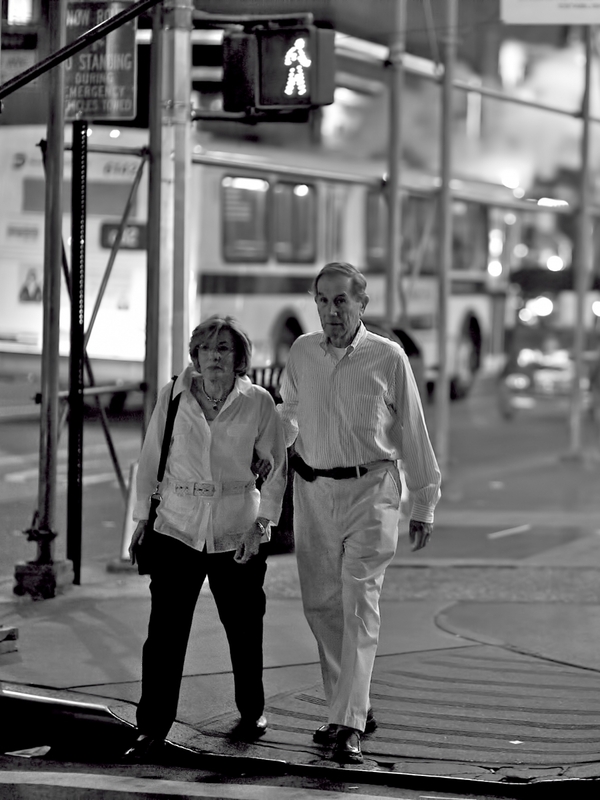 A simple touch crossing the street can display more meaning than the frenzied passion of youth. 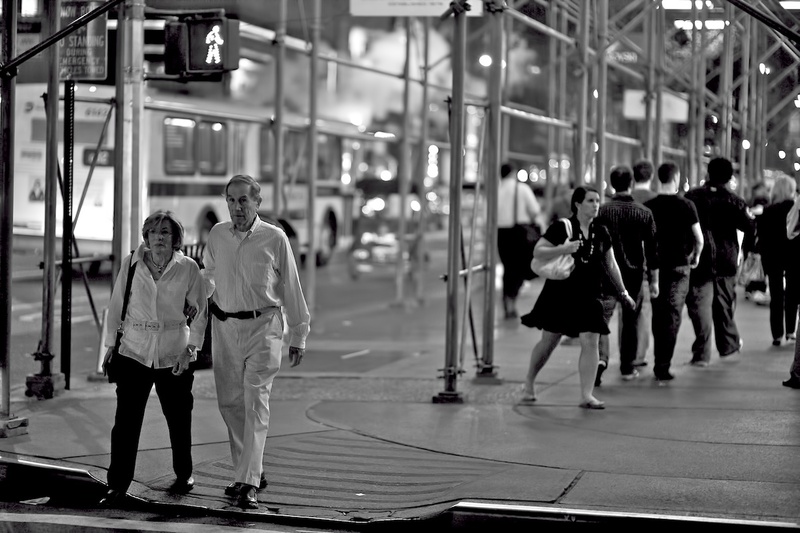 Here is another crop as suggested by Timo in the comments, putting more focus on the couple in question. I kind of like it. I don’t know if you have cropped this already and if the picture is still large enough to try this, but if you cropped away about two thirds from the right, so that only the couple is in the frame (you would actually make a 3:4 or 2:3 portrait format out of it instead of landscape format), then the effect might be much stronger. Great you tried the new crop – it is perfect IMHO!